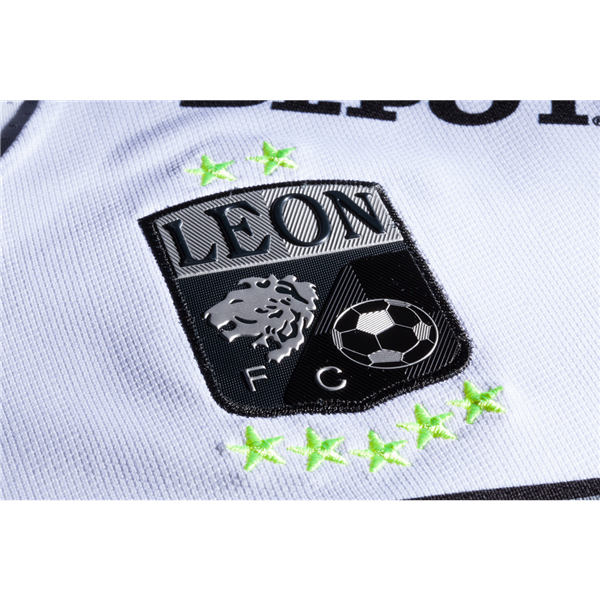 One of the greats of Mexico Liga MX. 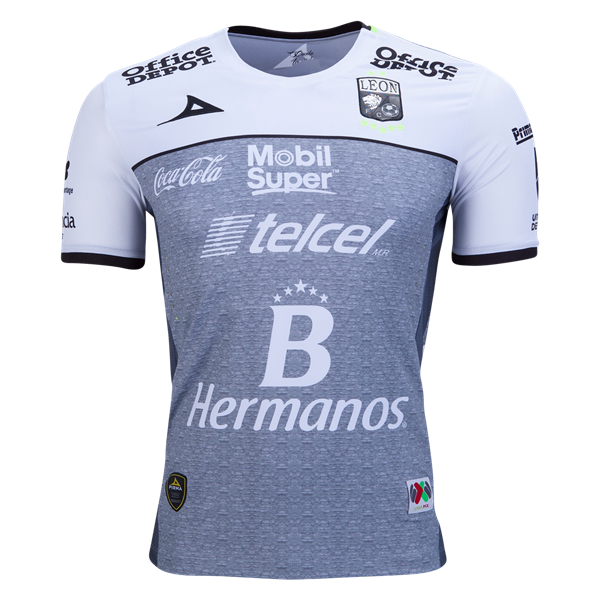 Grey with a white block on the upper chest, the third jersey includes sewn on team and Liga MX badges, with Pirma logo and sponsor designs. 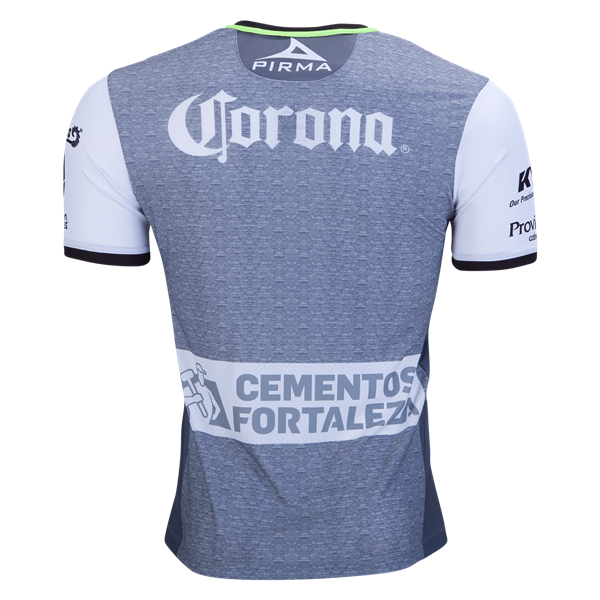 There are mesh inserts on the shoulders and sides. Polyester.